Thrift stores are one of my favorite places to go when I'm bored, want to pass time or get my shopping fix without spending a lot of money. Lucky for me I pass a pretty decent one when I head into town. Most times I walk out with nothing (okay, maybe a book! ), but every now and then I find some pretty awesome pieces to transform. 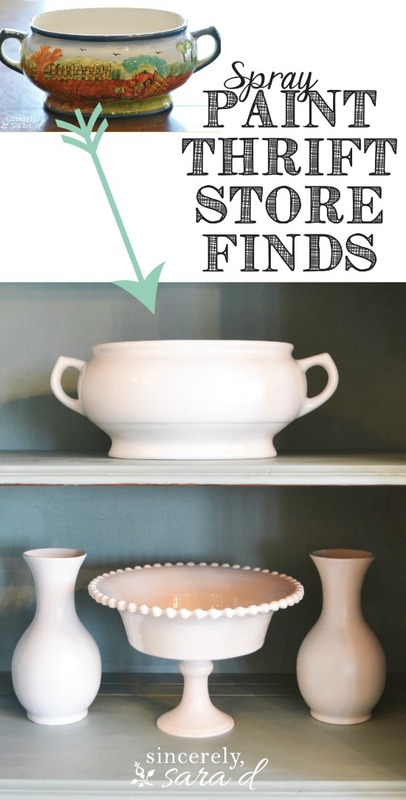 My favorite inexpensive thrift store scores are the $3.00 vintage metal card catalogs that I updated and the Anthropologie knock off hooks. I was not expecting to find either item, which just goes to show that you never know what you'll find. 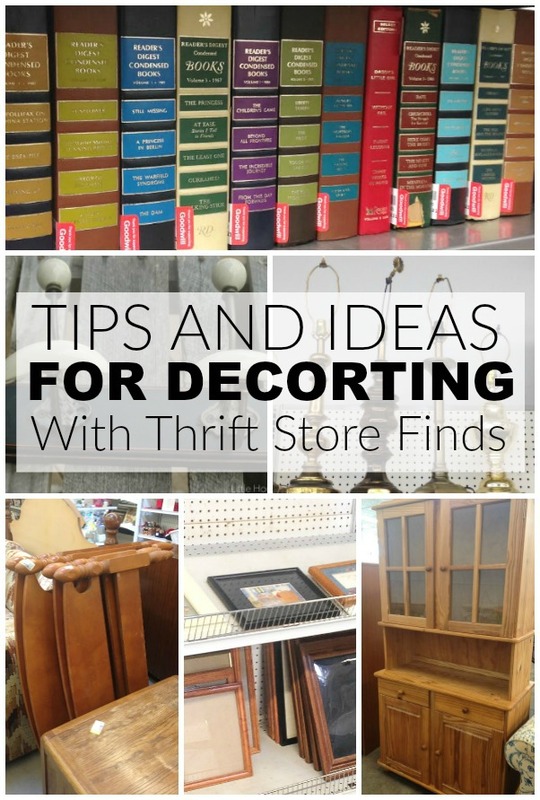 I try to keep an open mind when browsing thrift stores and look to Pinterest for inspiration (you can follow my Thrifty Transformation board here). I'm always coming across some pretty awesome transformations and wanted to share a few of my favorites. A thrift store frame gets turned into farmhouse wall art from Confessions of a Serial DIYer. 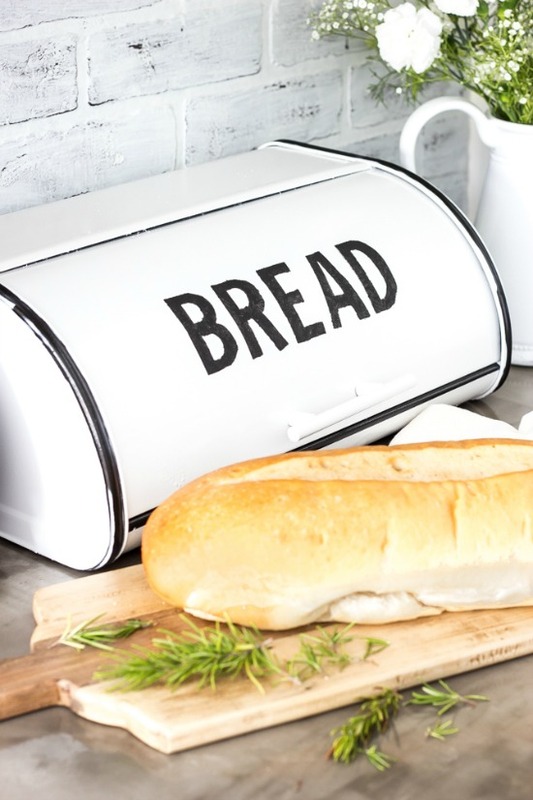 A dated bread box gets turned into the perfect farmhouse bread box from Bless'er House. 80's light fixture turned succulent terrarium from Honey N Hydrangea. 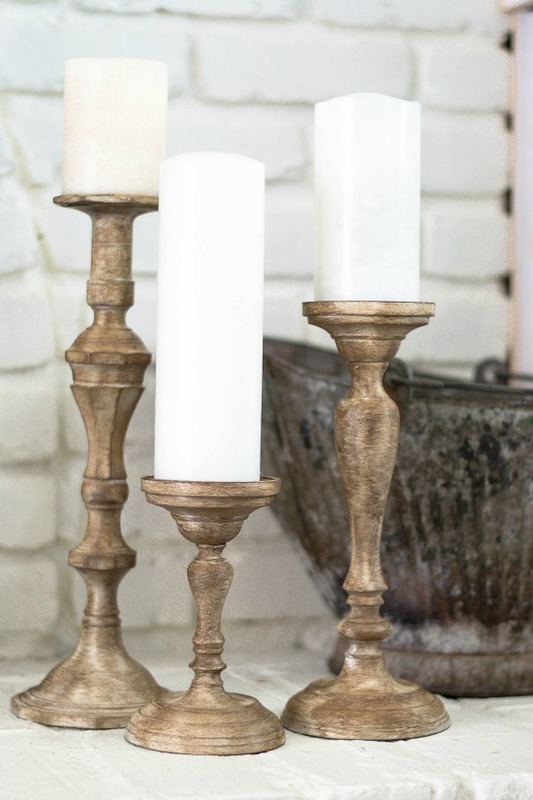 Brass candlesticks get a farmhouse makeover from The Weathered Fox. 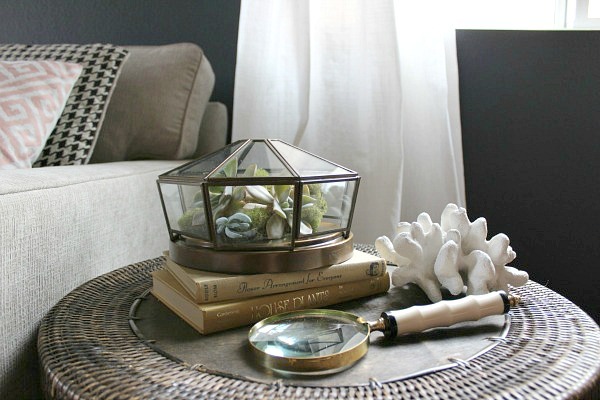 Spray painted Goodwill dishes from Sincerely Sarah D.
$1.00 thrift store frame turned fabulous tray from Confessions of a Serial DIYer. Next time you go to a thrift store take an extra minute and really think about what's around you. 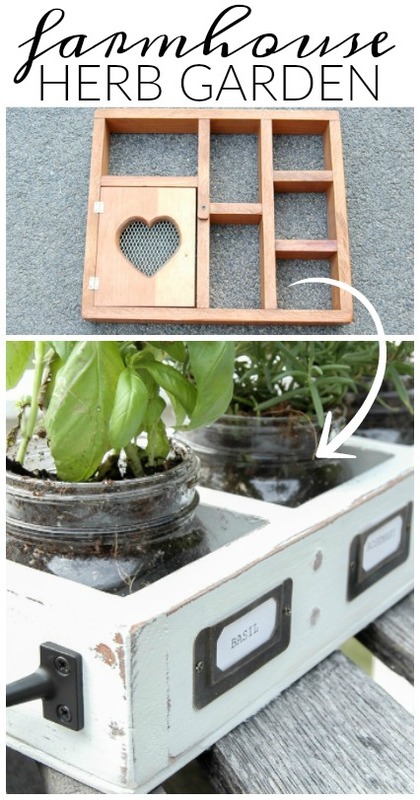 Keeping an open and creative mind will lead to some pretty amazing and thrifty transformations! Beautiful and thoughtful post. Loved all the ideas. Succulent terrarium is an amazing thing to try. 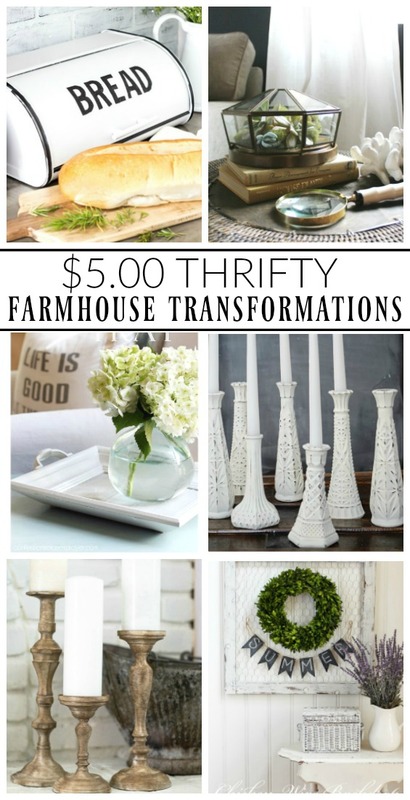 Budget-friendly farmhouse transforming ideas. Thank you so much for including my terrarium!!! You made my day! 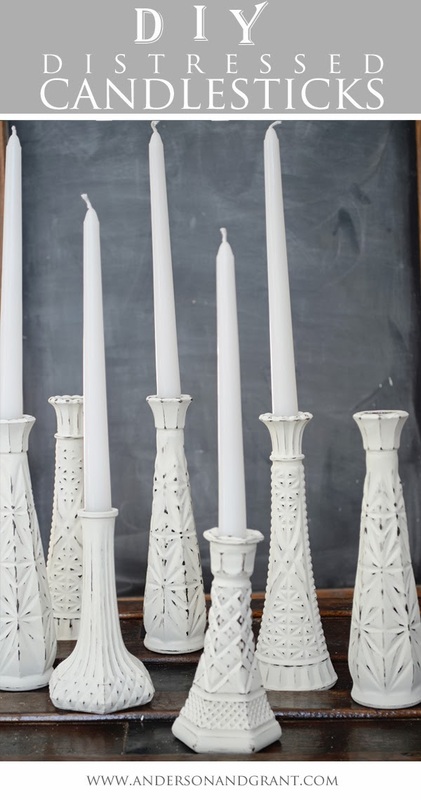 Thanks for including my candlesticks, Katie!